Food court in an amusement park flat cartoon. Ad poster with glass plastic box with cotton candy. 3d realistic cotton candy on wooden sticks with different shapes - heart, tower, cloud. 3d realistic cotton candy on wooden sticks in plastic packaging with bright ribbons. 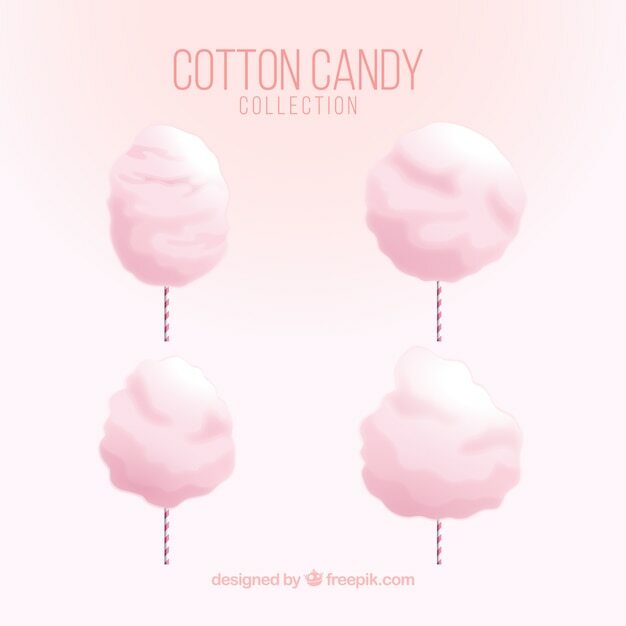 Realistic closed glass jar with cotton candy, isolated on pink background.